Hello - my name is Jack Spearing. I'm an art historian by training, but I write on a freelance basis about classical music, film and art. Recently I've been writing a series of articles introducing the work of different composers for various websites who usually focus on indie music. My aim is to help people who want to know more about classical music but don't necessarily know where to begin. Spotify is a spectacularly helpful tool for me, and a brilliant resource for organising and passing on classical music in general, and I always include Spotify playlists in my articles. You can find some of my articles here and here. Some music is made for Christmas, other music achieves Christmassyness, and sometimes music has Christmas thrust upon it. As such, Christmas music is a very loose category into which all manner of things can fall – choral religious works, winter symphonies and Christmas concertos, or just anything which happens to include jingle bells. This playlist includes all of these things, no matter how tenuous their connection to the festive season, but is purged (for the most part) of Christmas Carols and cheesy Christmas albums put out by particular singers. Music, despite its programmatic and associative possibilities, remains a fundamentally abstract medium, and as a result doesn’t always lend itself particularly well towards illustrating particular times of the year, so certain tropes do surface time and time again – falling snow, sleigh rides, chanting, evocations of winter, and so on. I’ve started the playlist with a selection of odd and ends, extracts and freestanding pieces, before moving onto a series of condensed versions of larger Christmas classics, and then ending with a few slightly less serious selections. Prokofiev – Troika from the Lieutenant Kije Suite. A troika is a kind of Russian folk dance in which people imitate a carriage and horses, and in this case comes just after the wedding of Lieutenant Kije, a character taken by Prokofiev from a Russian folk story which satirises Tsarist bureaucracy. Lieutenant Kije himself is entirely fictitious – he is created as the result of a clerical error, and the Christmas association here is equally odd – the jingle bells were borrowed by Greg Lake (of ELP fame) for his song "I Believe in Father Christmas", and the link has persisted ever since. Delius – Sleigh Ride. English composer Frederick Delius, whose best known tone poem is probably ‘On hearing the First Cuckoo in Spring’ also provided a cheery little number for a colder season. The liberal use of jingle bells accompanying a chirpy folk melody makes this one of the most enjoyable of all Christmas pieces. Josef Strauss – Winterlust. Pretty much self-explanatory. A standard issue Strauss family Polka Schnell, with added jingling to tell you it’s Christmas. Rameau – Various extracts from orchestra suites. These are a bit of a cheat – there are no jingle bells here, only Tambourines. But if you don’t think about it too much, they do have a vague Yuletide feeling to them. Mozart – The Sledge. Composed in the year that he died, Mozart’s three German dances K605 mark the end of the composer’s long interest in dance. The sledge or “Schlittenfahrt” is the final piece in the set, beginning with a bumpy downhill journey before moving into a lilting section with prominent parts for angelic trumpets and, you guessed it, jingle bells. Michael Praetorius – In dulci jubilo. Some time before Mike Oldfield arrived on the scene, Praetorius produced what is perhaps the definitive choral setting of this medieval carol, which also includes a thunderous brass section. Rimsky-Korsakov – The Snow Maiden. This has nothing to do with Christmas. But it has “Snow” in the title, so draw your own conclusions. Perotin – Alleluia. Nativitas. Perotin isn’t a name that’s hugely familiar to most people, or even to a lot of classical listeners, but it ought to be. His vocal music is fantastic, particular pieces like Sederunt Principes, which show off his trademark technique of spending minutes on individual syllables of each word, intermingling and overlapping the voices in a complex, but nonetheless melodious, sonic texture. This piece, in case you haven’t guessed, celebrates the birth of Christ. Bach – Sheep May Safely Graze. Although the link to sheep might have you thinking that this piece is about the Shepherds who visited Jesus in his manger, it was originally part of a strictly secular work, nicknamed the Hunting Cantata. It was only much later when eccentric composer Percy Grainger created his own much more festive arrangement, entitled ‘Blithe Bells’, that the piece came to be associated with Christmas. As we’ll see in the rest of the playlist, Bach wrote quite a few other pieces which have much stronger links to Christmas, but this is still one of the prettiest melodies he ever penned, so who cares? Corelli – Christmas Concerto. Normally the slow movements of Baroque Christmas concerti are extracted for their evocative qualities, and if you want to hear them in full then Naxos’ many and varied releases of this material are worth investigating, but I think that this anxious minor-key fast movement is better for calling to mind all the rushing and anticipating that the festive season brings. Tchaikovsky – The Seasons: December. Ordinarily it’s the June Barcarolle which is highlighted in this exquisite piano suite, or occasionally November, which was a favourite encore of Rachmaninoff’s. But this doesn’t really do justice to what is, I think, the best solo piano piece from Christmas composer par excellence – Pyotr Ilyich Tchaikovsky. Johann Strauss II – Die Fledermaus Overture. Again, really nothing to do with Christmas at all. But somehow it sounds as if it should be Christmassy. Charpentier – Noel sur les instruments. Charpentier wrote a comparatively large amount of Christmas music in the 1670s, including a cantata telling the story of the nativity, which can be found on the same album that this extract is taken from. The piece I’ve chosen is one of his lively arrangements of what were, even then, traditional carols, again with a tambourine. Waldteufel – Les Patineurs (“Skater’s Waltz”. Not to be confused with a work by Meyerbeer of the same name, Les Patineurs was inspired by a real ice-rink in Paris. Waldteufel, being a composer of light dance music, immediately saw the parallels between the elegant skaters and the denizens of the ballroom. Offenbach – Barcarolle. Originally this piece was an aria from an opera of Offenbach’s which had flopped, but the composer recycled the piece for his final masterpiece – The Tales of Hoffman. It has since become one of his most famous works, aside, of course, from the ubiquitous Can-Can. The Christmas connection comes from ETA Hoffman himself, because his story “The Adventures of New Year’s Eve” was incorporated along with others in Offenbach’s work. Respigi – Siciliana. Sicilianas are a kind of Baroque dance – slow and frequently in a minor key. Italian Baroque revivalist and deeply underrated composer Ottorino Respighi, who is best known for his spectacular Pines of Rome suite, was naturally drawn to this form in his collection of Ancient Airs and Dances, from which this piece is taken. As with Baroque Christmas concertos, it’s the pastoral quality to the music which is important here, as German and Italian composers of the time associated this style with Christmas Eve. Debussy – The Snow is Dancing. Taken from Debussy’s small set of solo piano pieces ‘Children’s Corner’, this miniature piece is one of many examples of the composer’s effortless ability to summon up images – in this case, the gentle, almost soundless falling of snow, buffeted by the winds. Bach – In dulci jublio. Music of a more explicitly festive bent from Johann Sebastian, this time on his instrument of choice – the organ. This piece is frequently played at the end of Christmas church services. Ryba – Bohemian Christmas Mass. Unusually for Christmas music, this is actually the composer’s best known piece, and it’s also the only work on this playlist sung in Czech. It employs the structure of a standard Latin mass, but also works in various elements of the Nativity story, and was supposedly written to mark Ryba’s reconciliation with local church authorities, who he was always pestering. Liszt – Chasse Neige (Snow Plough). The last of Liszt’s transcendental etudes, Chasse Neige is also one of the most difficult and programmatic in this set, which is one of the composer’s greatest achievements. The nearly constant cascade of trembling notes gives the effect of the ever present snow. Chopin – Winter Wind Etude. One of the last of Chopin’s Opus 25 Etudes, and another programmatic work, although admittedly less to do with Christmas and more to with the season as a whole, or perhaps the difficulties and obstacles of life in general. Mendelssohn – Hark! The Herald Angels Sing. Another initially secular piece adopted for Christmas use due to its catchy tune. I’ve included this not because I enjoy carols, but purely to remind listeners of how many ubiquitous tunes that we assume have always existed actually had to be written by someone – the wedding march from a Midsummer Night’s Dream, also by Mendelssohn, being just one of many examples. Mahler – Symphony No.4, 1st Movement. Another cheat – nothing to do with Christmas, just jingle bells. But Mahler can always do with being a bit more popular, so that’s reason enough for me. Tchaikovsky – Symphony No.1 ‘Winter Daydreams’ – 3rd and 4th Movements. Tchaikovsky always struggled with sonata form and development, especially at the outset of his career, but his first symphony is still surprisingly accomplished. Don’t listen to those who say that only the 4th, 5th and 6th are worth hearing – his transformations of folk tunes into vast orchestral statements here are fantastic. Tchaikovsky – The Nutcracker. The Ultimate in Christmas Music. Despite being endlessly cannibalised for use in adverts this ballet is refreshing and thoroughly enjoyable. Obvious highlights include the Waltz of the Flowers and Dance of the Sugar-Plum Fairy, but the whole work is permeated with Tchaikovsky’s particular genius for musical fun. 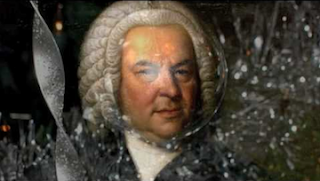 Bach – Christmas Oratorio. One of Bach’s crowning achievements, and another of the finest pieces of true Christmas music. The work is actually a compilation of several different cantatas which were performed at different dates around the Christmas period. Along with the St Matthew and St John Passions, it ranks amongst Bach’s best choral compositions. John Eliot Gardiner’s interpretation of this piece is absolutely superb. Handel – Messiah. The Messiah is not strictly Christmas music, as it only deals in part with Christ’s actual birth, focusing instead on various aspects of his life and the Old Testament prophecies with which it had been connected. I’ve picked out a few of my favourite sections as well as some more obvious highlights, such as the endlessly repeated Hallelujah Chorus. John Eliot Gardiner again brings his excellent direction to the piece, restoring it to the more intimate number of performers for which it was originally intended. Vivaldi – Winter from the Four Seasons. I’m pretty sure Bernard Hermann stole ideas from Mendelssohn’s 4th Symphony, but I also wonder if he took motifs for the iconic Psycho score from the opening movement of Vivaldi’s Winter, which had been gaining in popularity in the decade before the film came out. Vivaldi himself, of course, was simply aiming to recreate a few seasonal sound-effects. To me, Winter’s three movements bring to mind sleet, followed by snow and fog, and ending with a fully-fledged blizzard. Prokofiev – Cinderella. Once again, a piece which has nothing in particular to do with Christmas, but I felt like including it anyway. My tenuous excuse being that Cinderella is a very popular subject for that most bizarre of phenomena, Pantomime, which despite being English I have thus far managed to avoid. Rimsky-Korsakov – Christmas Eve Suite. Various orchestral extracts from the composer’s opera of the same name. Humperdinck – Hansel and Gretel. Before Engelbert Humperdinck beat the Beatles to Number One in the charts, he existed in rather different incarnation as a 19th century classical composer. Based on the classic children’s tale by the Brothers Grimm, the piece has enjoyed a Christmas association since its very first performance was given by none other than Richard Strauss on December 23rd 1893. Leopold Mozart – Toy Symphony. Although this work was essentially a novelty piece, it is now the best-known work from Mozart Senior, and includes a variety of bizarre effects, including bird calls, noisemakers and drums, overlaid onto what is otherwise a fairly straightforward piece. Rossini/Respighi – The Magic Toy Shop. This one is more or less self-explanatory, but on a musical note I should explain that this piece is made up of piano compositions by Rossini which were later orchestrated by Respighi and used in a production by the Ballet Russes. Poulenc – Four Motets for Christmas time. Francis Poulenc was one of the finest 20th century composers of Latin choral music, with his Gloria being particularly well-regarded. Although his works are often light and playful, these motets are marked by their seriousness, and sound simultaneously ancient and modern. Britten – A Ceremony of Carols. Don’t be fooled by the names – these are carols as you’ve never heard them before. The use of Middle English texts, harp accompaniment and a choir of boy sopranos make this a highly distinctive, beautiful and idiosyncratic piece, which ranks alongside War Requiem as one of Britten’s best choral works. Schutz – The Christmas Story. German is often dismissed as an ugly, guttural language, but nothing could be further from the truth. As if Bach’s oratorios and cantatas weren’t proof enough of this, Heinrich Schutz’s own version of the Nativity puts to bed the idea that German cannot be beautiful. Works like this would also later encourage Brahms to write in German too. Prokofiev – Battle on the Ice. I have no real excuse for the presence of this piece here. Not only is it not associated with Christmas, it is also irrevocably associated with a very different historical event. But it has “ice” in the title, and it’s a truly awe-inspiring piece. Schubert – Der Leiermann. The chilling final song of Schubert’s monumentally depressing ‘Winterreise’ (Winter Journey) Song Cycle. The piano mimics the sound of the hurdy-gurdy man of the title, while lieder master Dietrich Fischer-Dieskau describes him to the listener. A reminder, perhaps, that this is not always a happy time of year for everyone. This is fantastic! It's great to have music that is seasonally appropriate without being cliche. Thanks so much! I am thoroughly enjoying this playlist, thank! The employees have to check whether they are making use of the little letters. adplogin.net/ Enter your given name and also the surname. These two things are necessary.